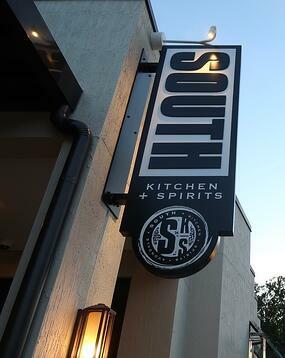 South Kitchen and Spirits is opening a new location in the Nocatee Town Center. South Kitchen and Spirits will open its second location in a new retail building being developed by Skinner Bros. Realty, east of Crosswater Parkway and behind Dunkin' Donuts and MShack. The new restaurant is scheduled to open early 2018 and build-out will begin this summer. The 4,050 square foot restaurant will include a covered patio, as well as a large bar area with hand-crafted cocktails, local beer and wine. "Initial response to the South Kitchen & Spirits concept in Avondale has been overwhelmingly positive, so we're really looking forward to being able to bring SKS's brand of southern hospitality to Nocatee. It's an area that we've been considering for a second location since day one, based on the opportunity to be one of the first full service dining & bar options, as well as the long-term potential for growth." South Kitchen and Spirits provides Nocatee residents with a new opportunity for full-service dining in the pedestrian- and EV-friendly Nocatee Town Center. To view current and other coming-soon retailers/dining, explore the Nocatee Town Center Directory. South Kitchen and Spirits makes all of its fine Southern cuisine and cocktails from scratch with fresh ingredients. 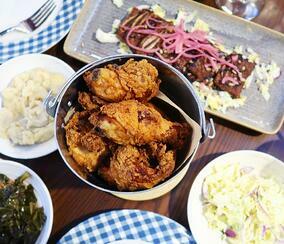 Right now, South Kitchen serves weekday lunch, weekend brunch, dinner and happy hour. To learn more about hours and its menu, check out the South Kitchen and Spirits website! For more information on the master-planned community, explore Nocatee.com, stop by the Nocatee Welcome Center or call 904-924-6863.